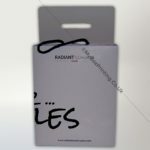 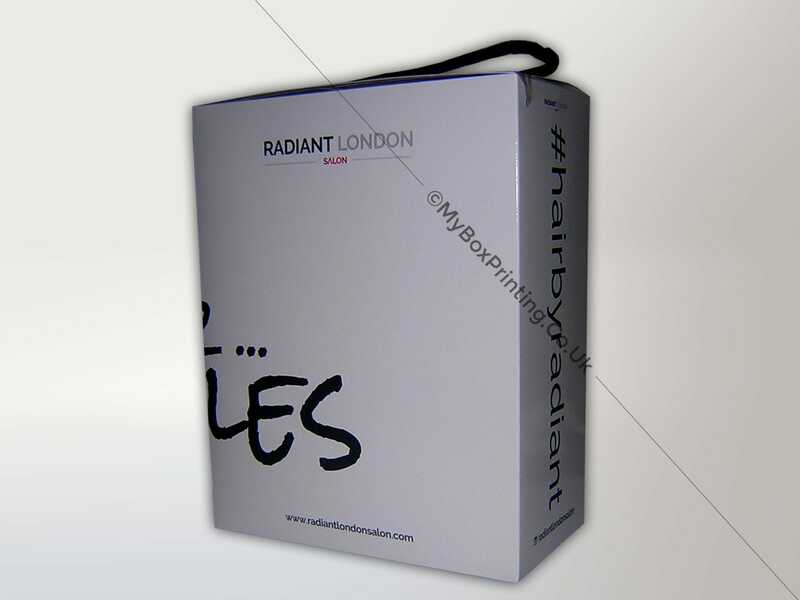 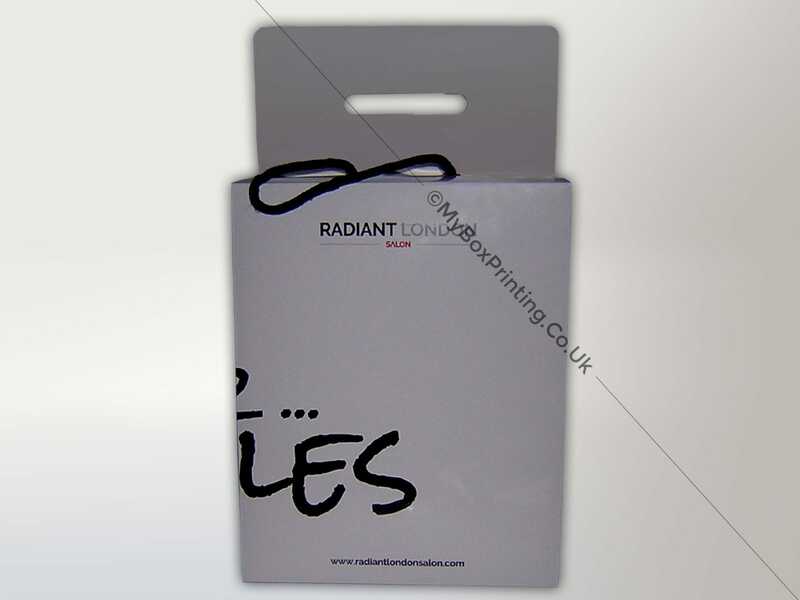 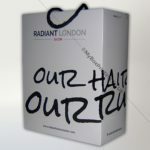 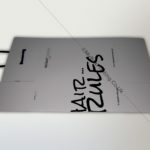 Radiant London Salon asked us to make product packaging bags for them. 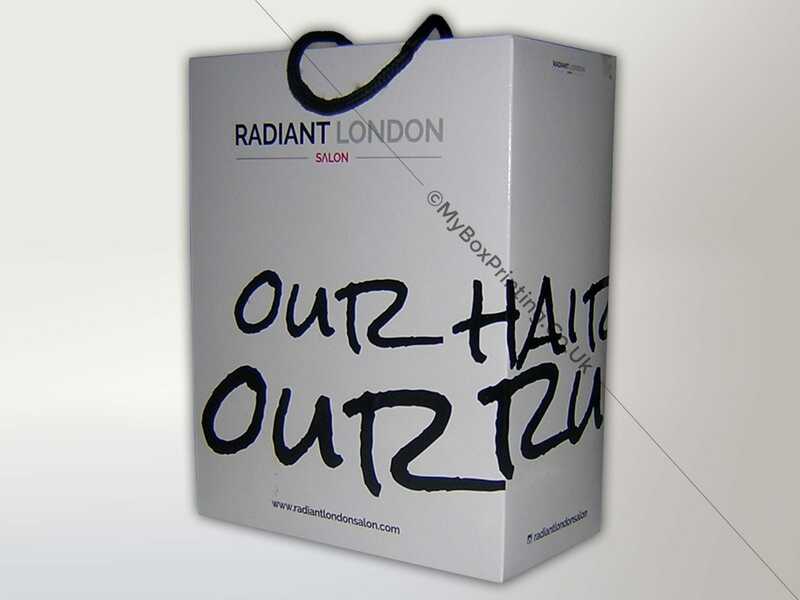 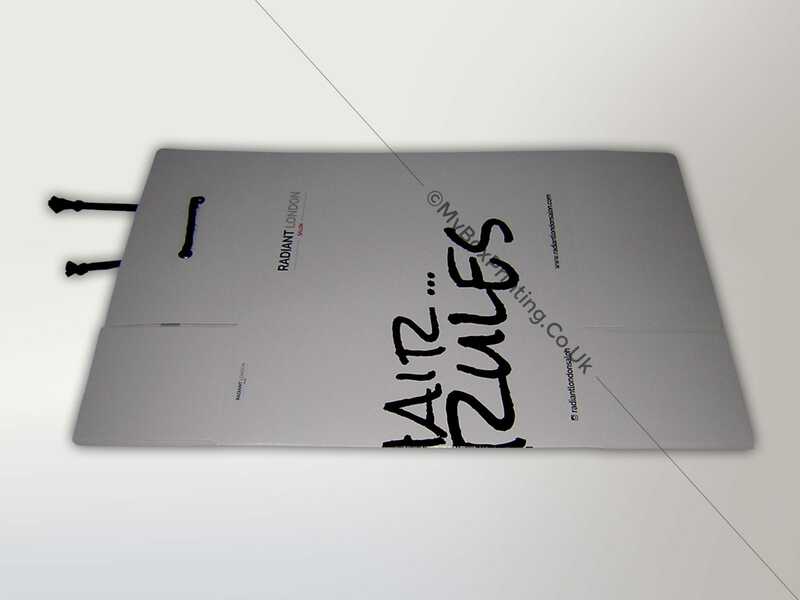 We used 500gsm silk card for their wig bags with gloss lamination, self-closing top and bottom and grosgrain rope for easy handling of the bags. 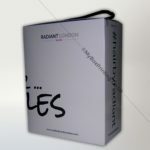 The box was printed in three colours CMYK.